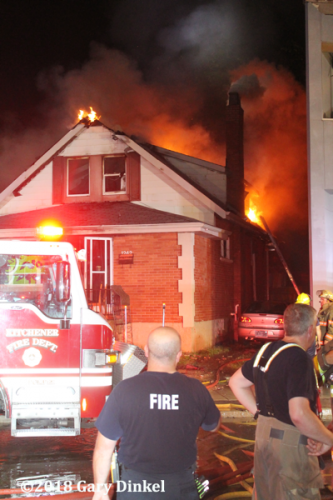 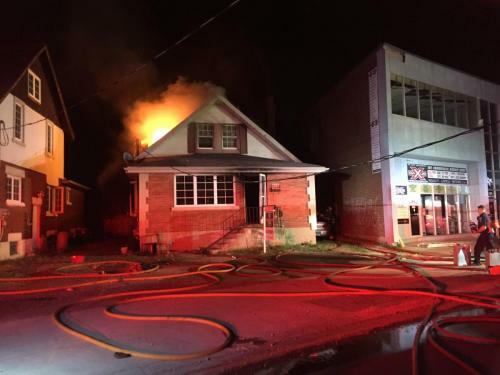 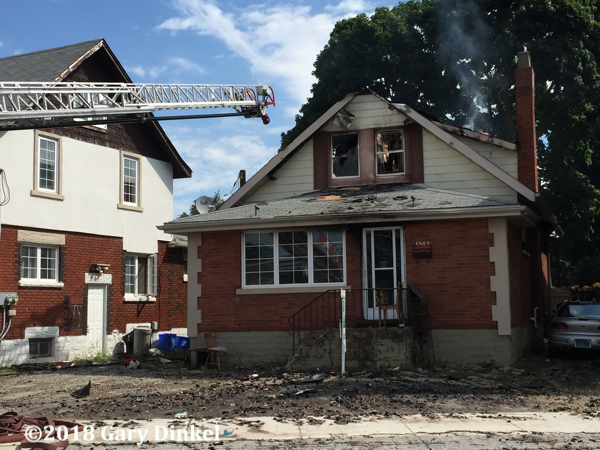 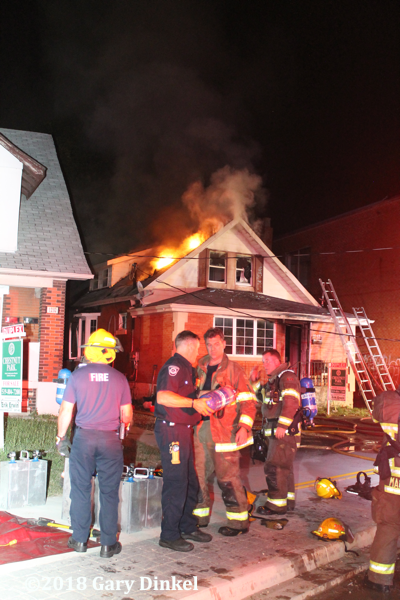 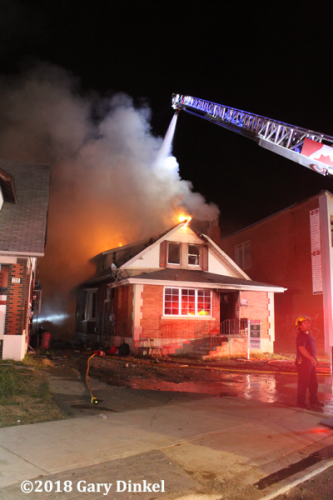 Kitchener (ON) fire dispatch received a 9-1-1 call for a house fire at 1242 King Street East July 13, 2018 at 00:37. 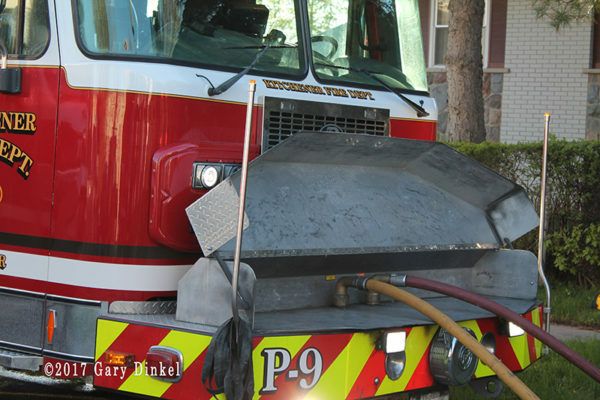 P3, P4, A1, R1, and Car 23 were dispatched to the call. 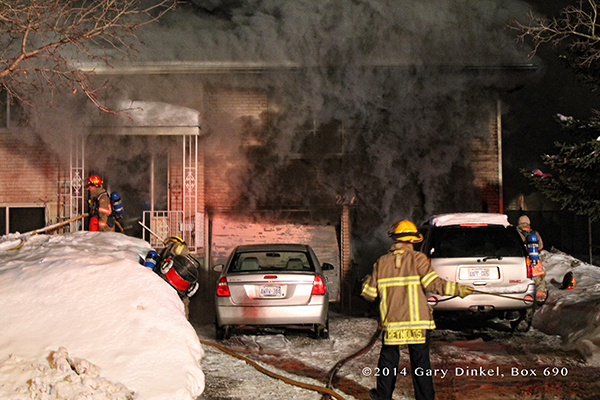 P3 arrived on scene reporting heavy fire venting 30 feet out the E2-E3 corner of the two-story house. 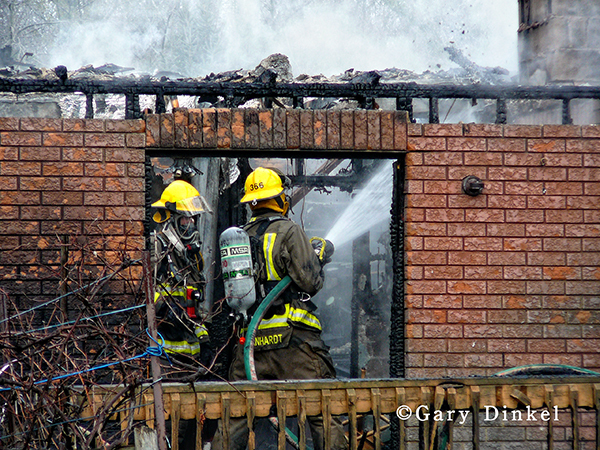 Live wires were hanging down across the street preventing the quint from setting up in front of the house. 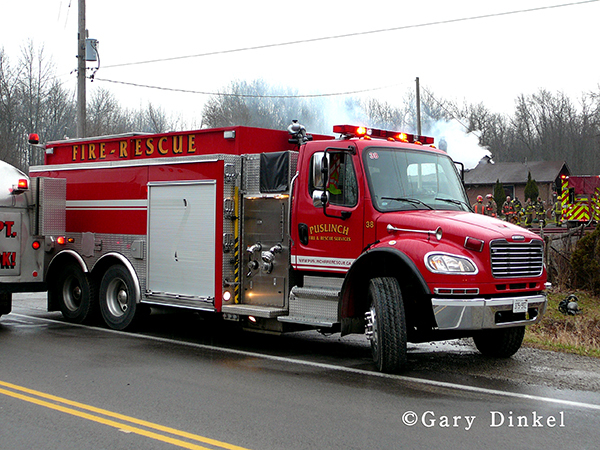 P4 picked up a hydrant on the way for P3. 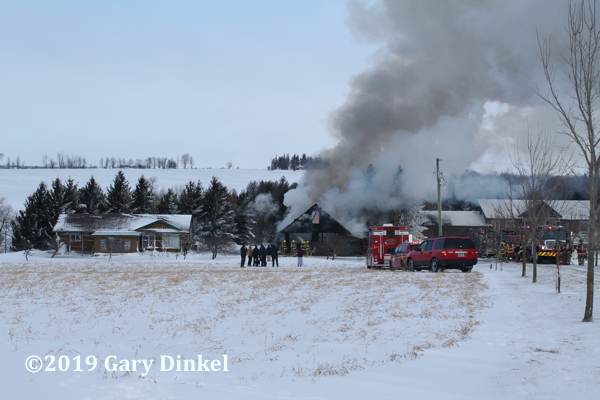 Hydro was cut to the entire area to allow firefighters to enter the house. 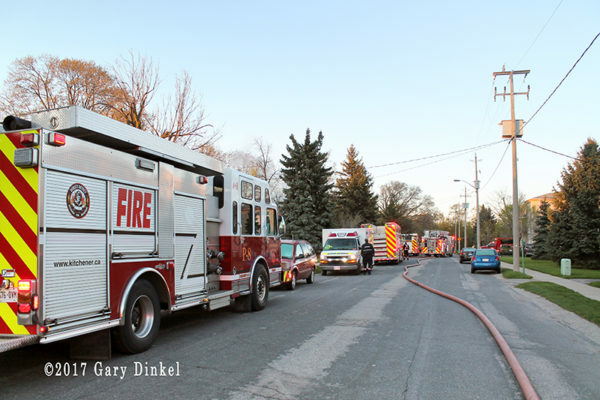 Crews pulled numerous lines from both pumpers to attack the fire. 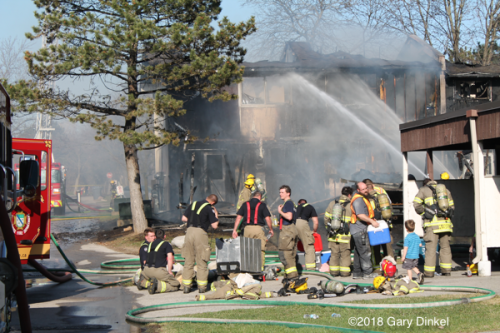 Interior crews were able to knock the fire down on the main floor and perform primary searches of the basement and main floor. 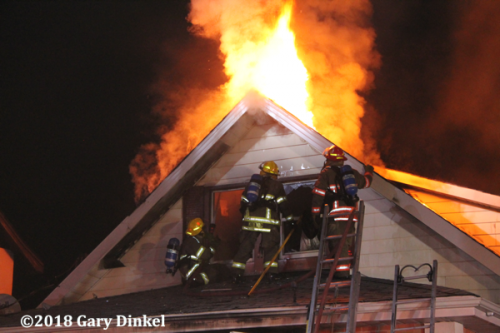 Heavy fire and high heat prevented searching the second floor. 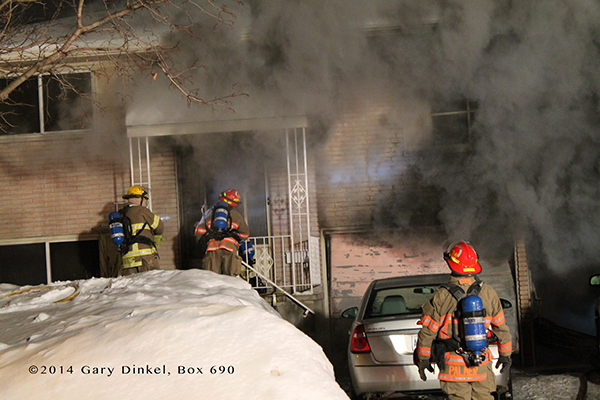 Firefighters were pulled out to go defensive. 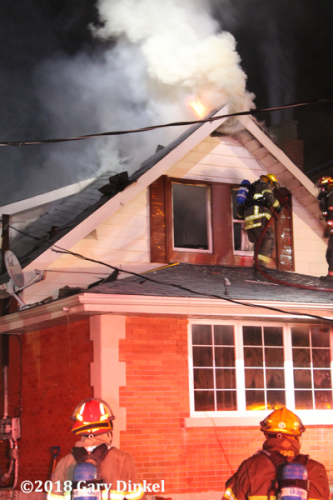 P3 set up their aerial to attack the fire venting out the roof. 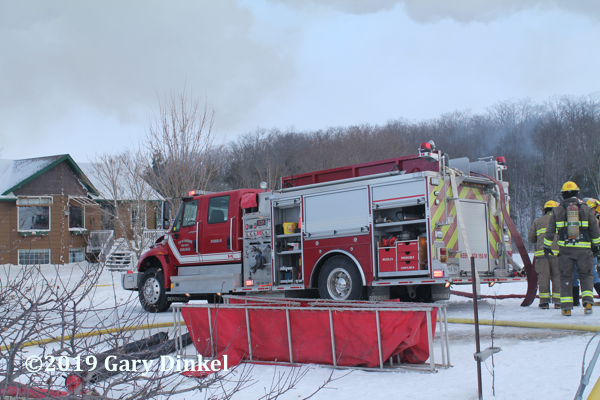 The fire was knocked down approximately an hour after pulling out. 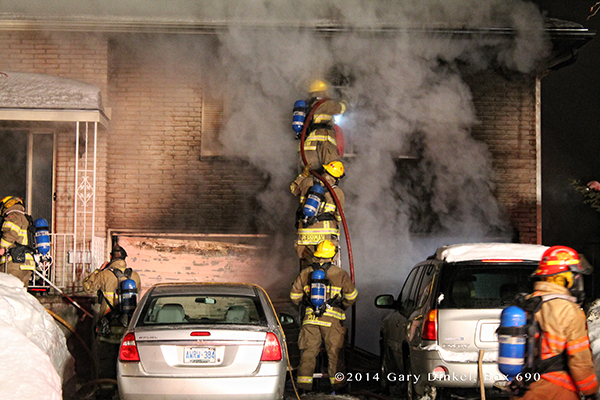 Portions of the roof collapsed, but since firefighters were all exterior there were no injuries. Damaged was pegged at $500,000, no cause has been released at this time. 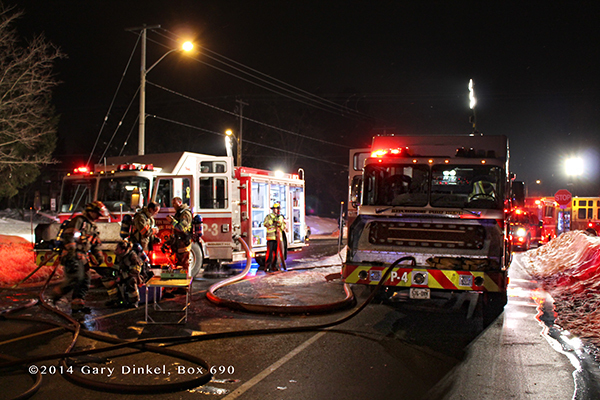 Box 690 provided rehab on this warm summers night. 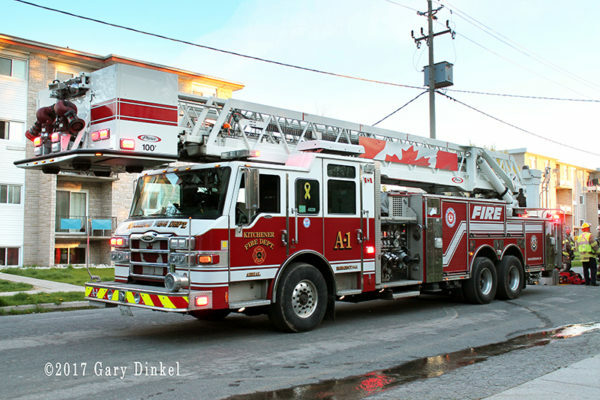 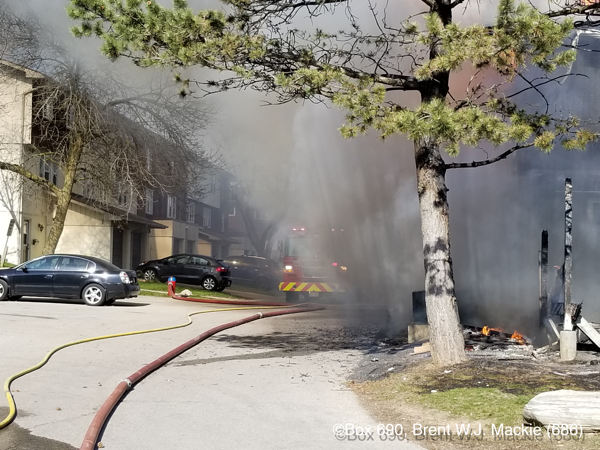 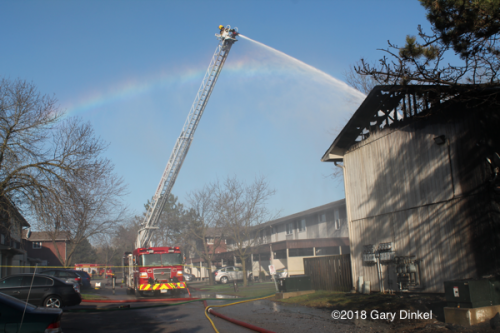 Cambridge (ON) fire dispatch 9-1-1 lines lit up May 1 at 17:00 reporting a townhouse on fire at 135 Chalmers Street South. 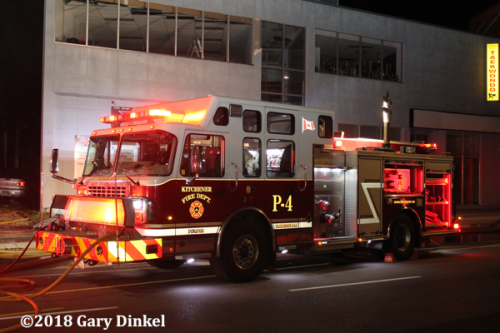 Four of the five Cambridge stations responded. P5 arrived first and reported two, possibly three town houses fully involved. 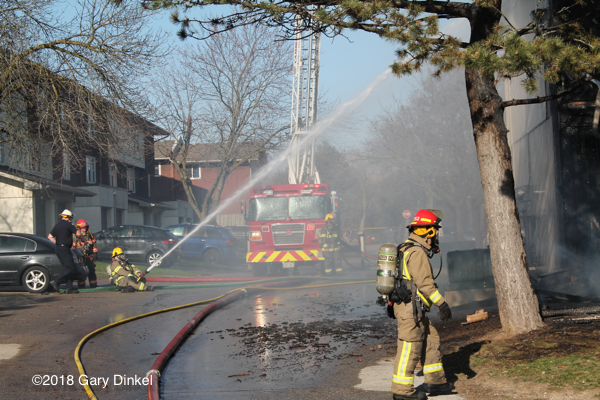 Firefighters picked up three hydrants and set up A4 to attack the fire. 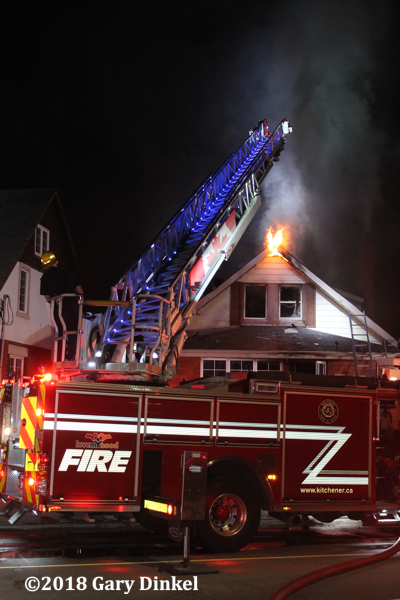 The fifth station was added shortly after the PC arrived on scene and took command. Crews successfully trenched the roof preventing the fire from spreading further down the block. 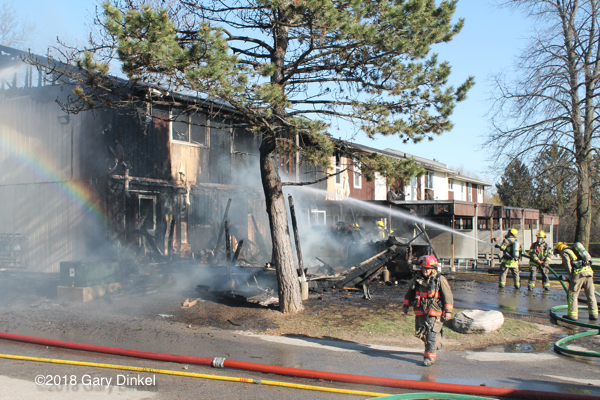 The fire was knocked down in 45 minutes. 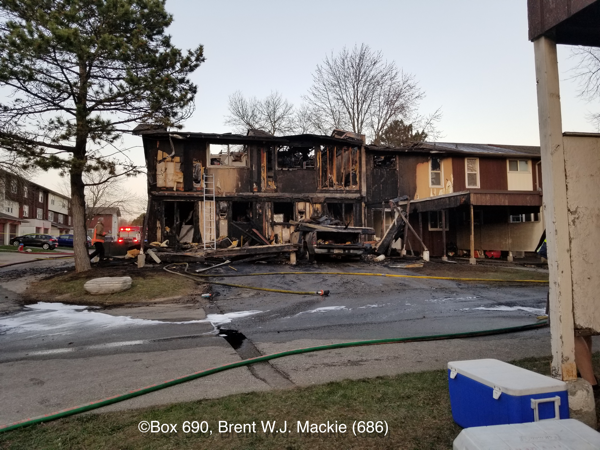 Damage has been set at $1,000,000. 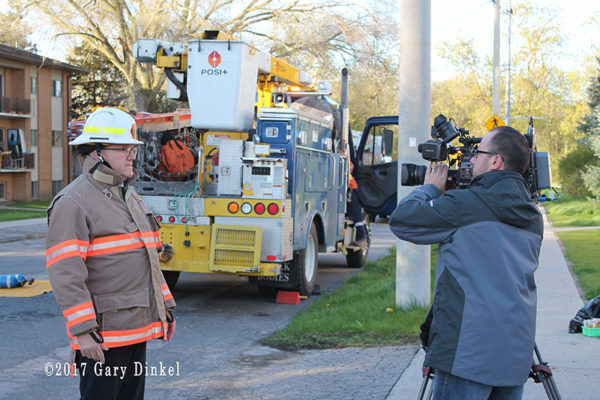 The Ontario Fire Marshall is investigating the cause of the fire. 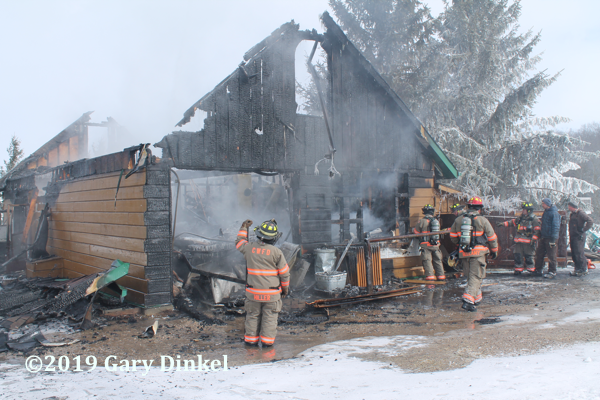 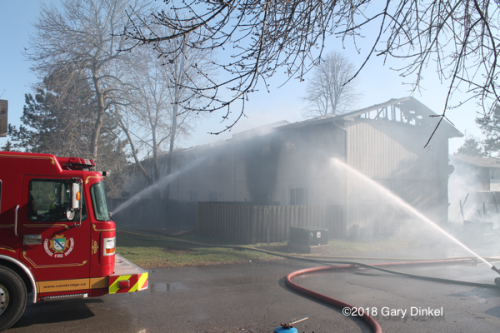 All occupants and animals were able to get safely out of their units. 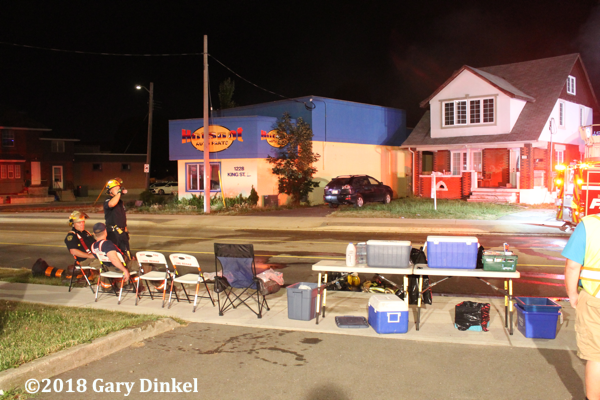 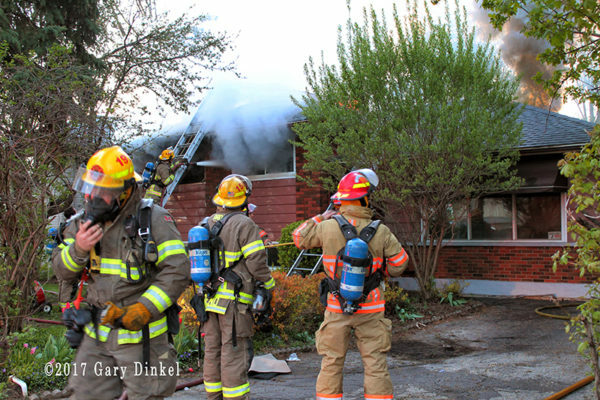 Early shots are from Box 690 member Brent Mackie who was less than a mile from the fire on dispatch. 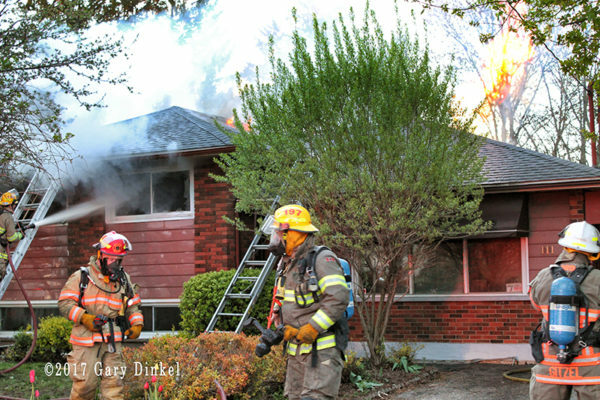 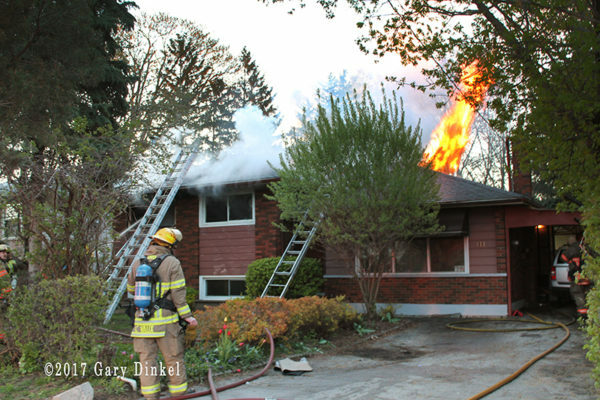 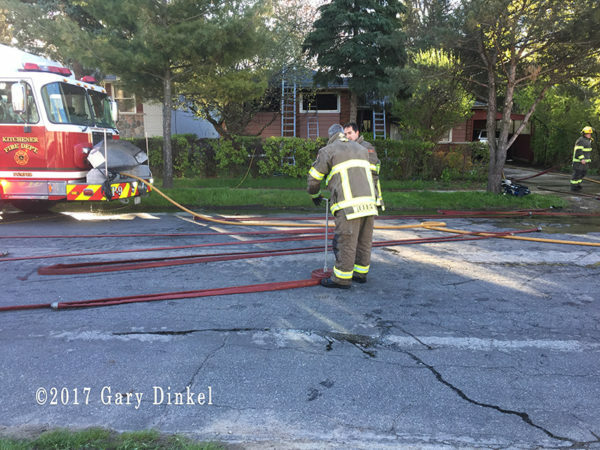 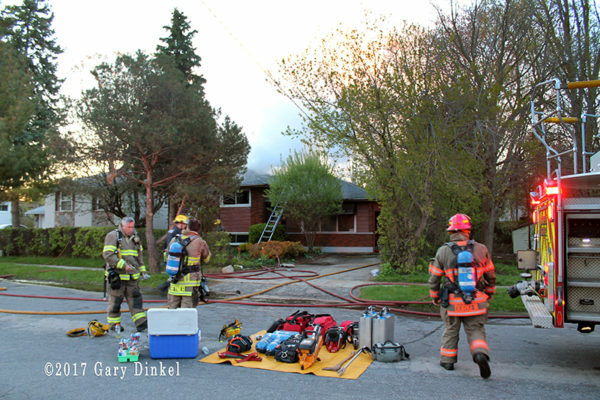 Kitchener, ON firefighters responded to 111 Second Ave for an early morning house fire May 8, 2017. 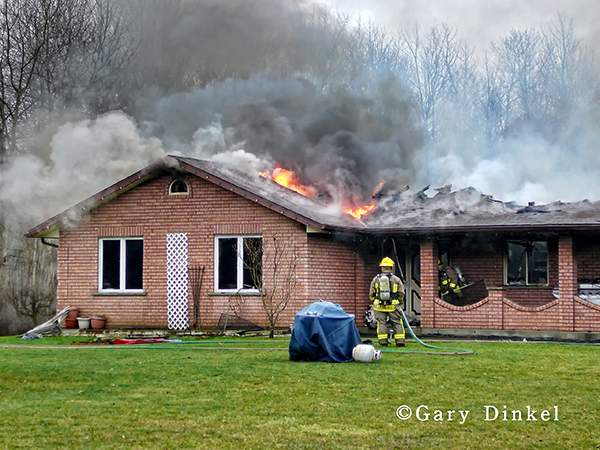 P4 arrived on scene reporting heavy fire venting from the front bedroom window. 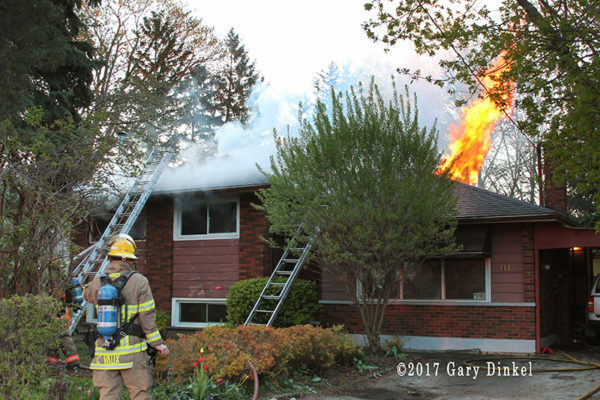 Firefighters pulled an unconscious women from the home who was transported to a local hospital where she succumbed to her injuries. 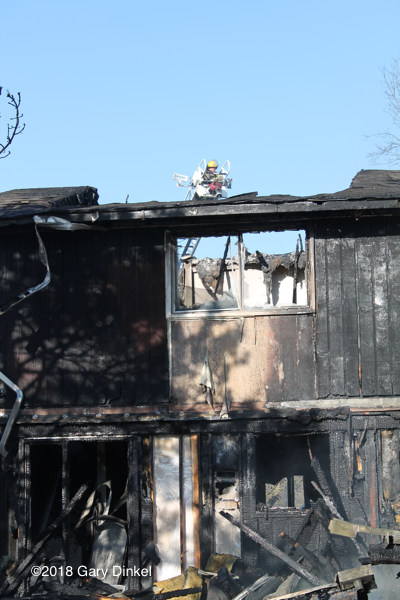 Crews were pulled from the structure once the occupant was found. 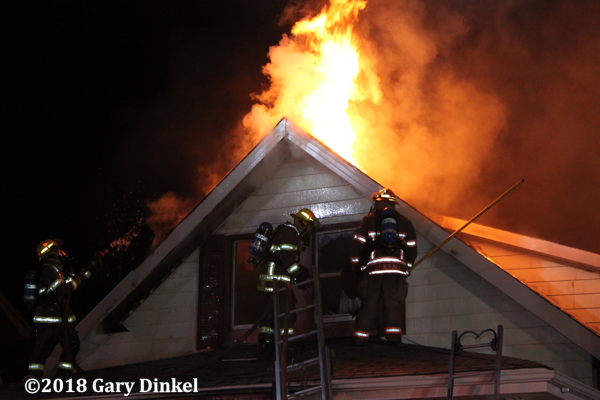 Heavy fire vented from the front and rear windows and eventually took hold of the attic. 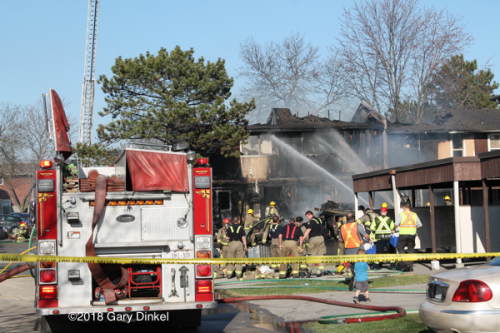 The Ontario Fire Marshall has been called in to determine the cause of the $150,000 blaze. 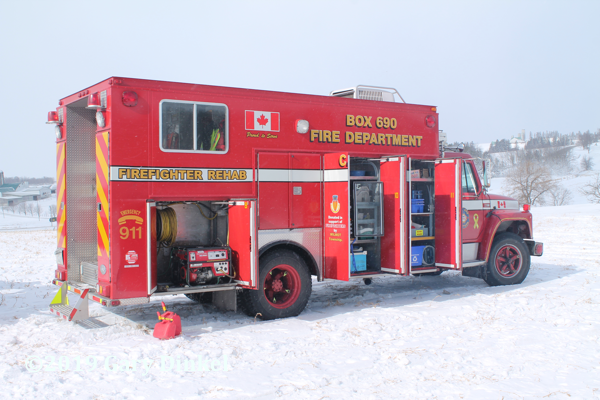 Box 690 provided rehab. 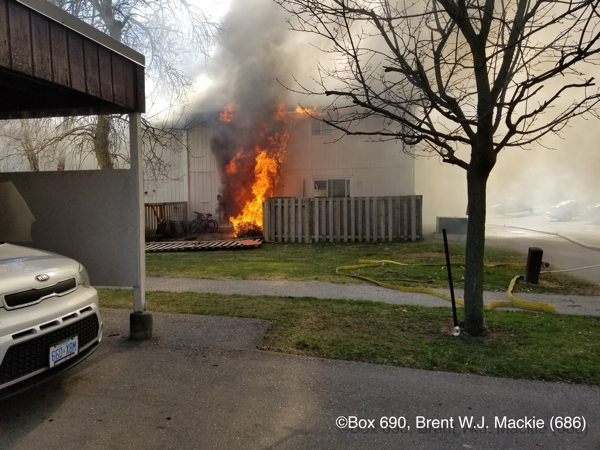 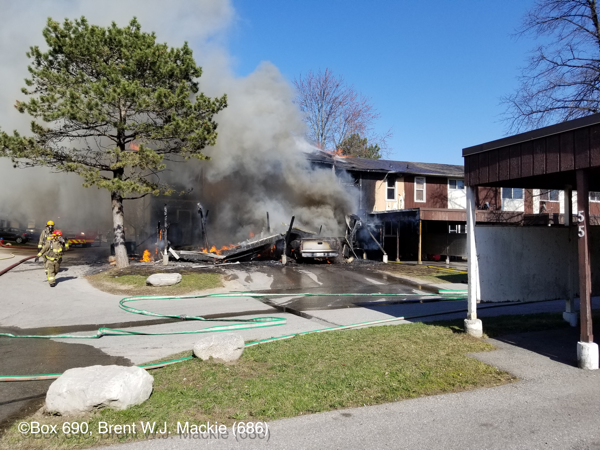 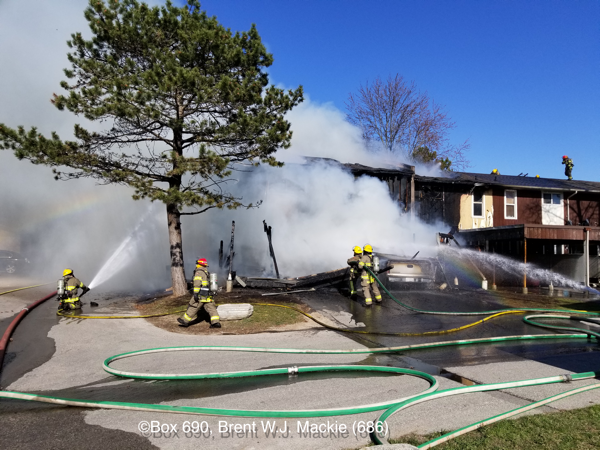 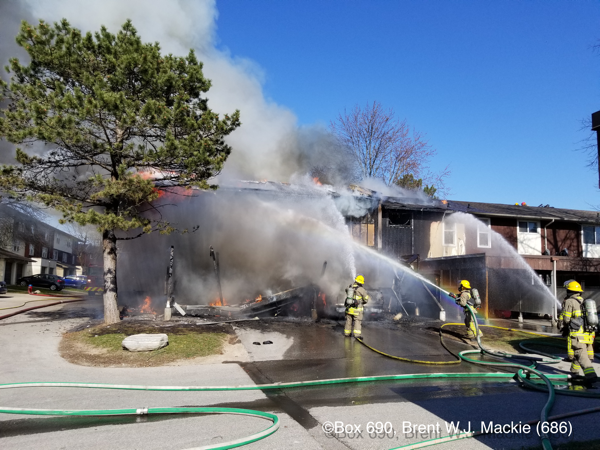 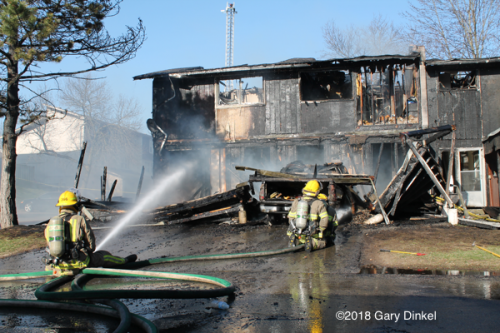 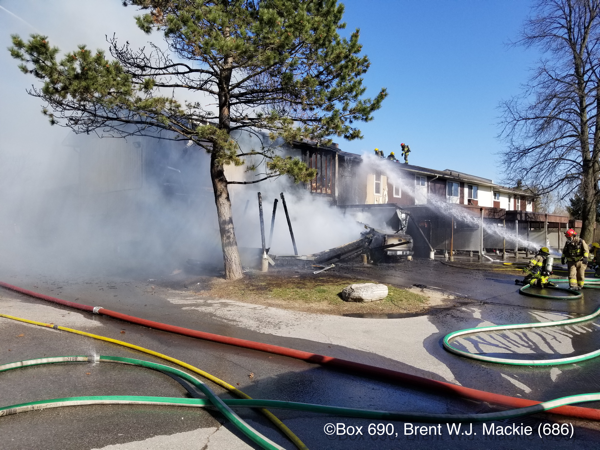 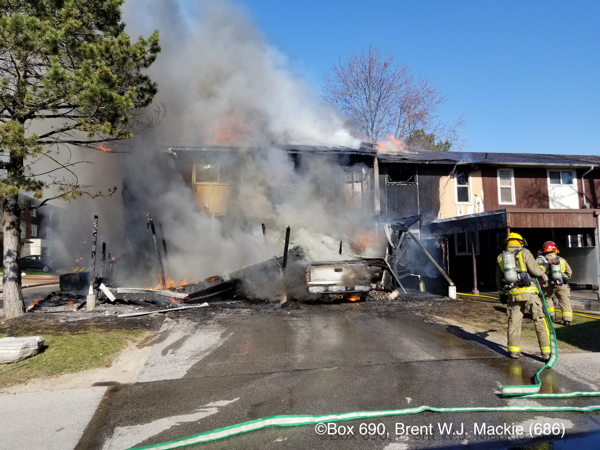 February 14, at19:22 Kitchener fire dispatch received a cell phone call reporting a house on fire at the corner of Lorraine and Heritage Dr. Pump 3 arrived on scene and reported the garage was fully involved and likely had extension into the house. 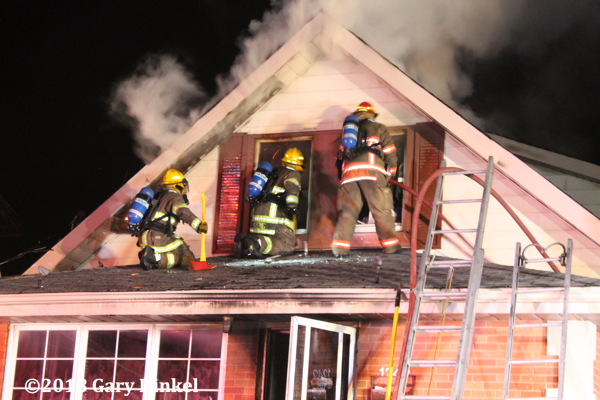 Three 1.5” lines were pulled to extinguish the fire. The fire extended into the basement and into the living room above. 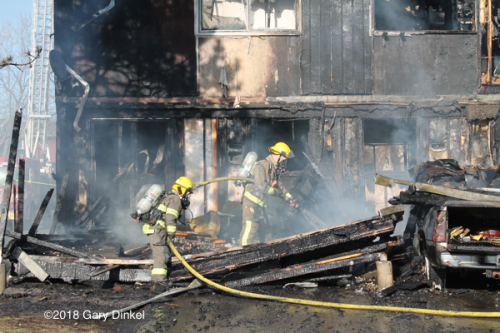 Twenty fire fighters knocked the fire down in 30 minutes. 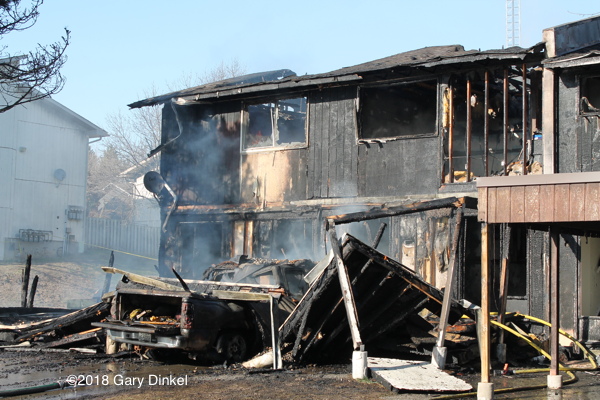 Damage was pegged at $300,000. 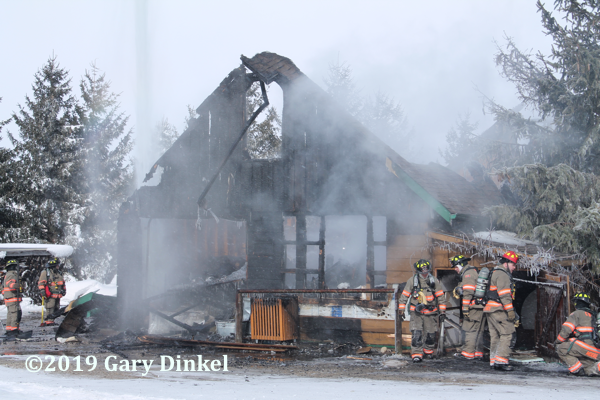 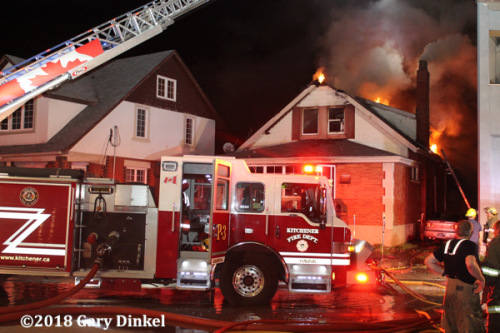 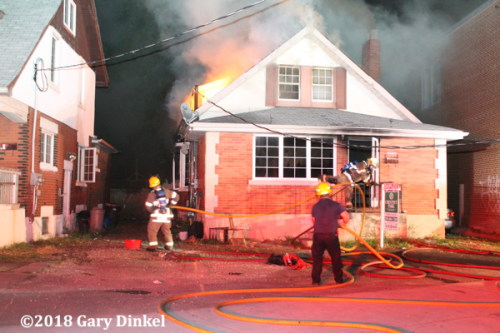 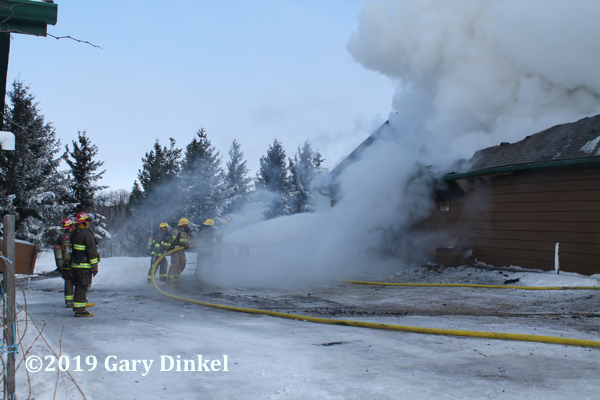 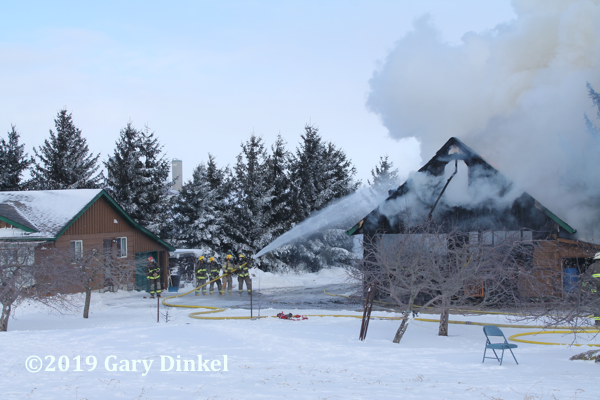 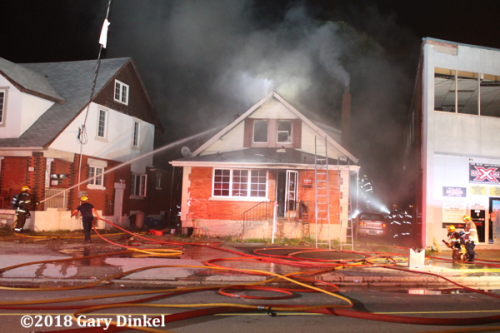 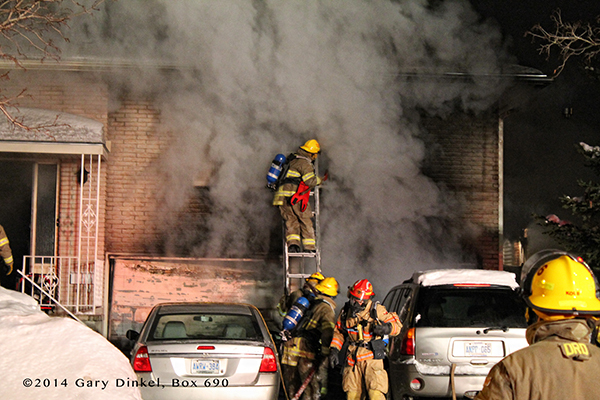 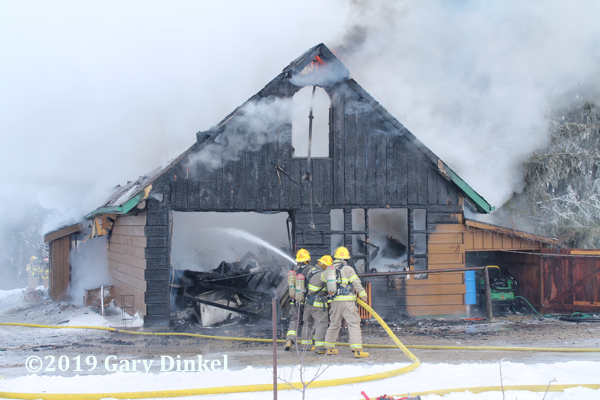 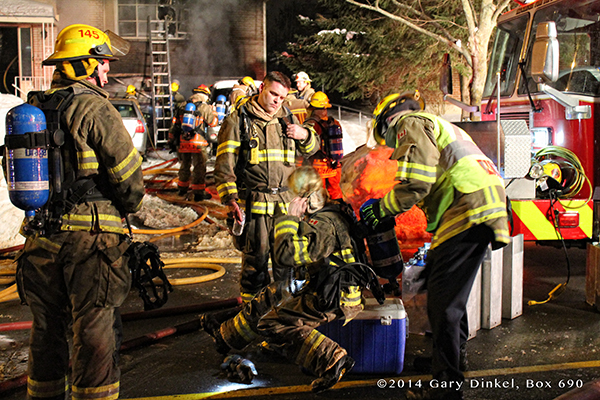 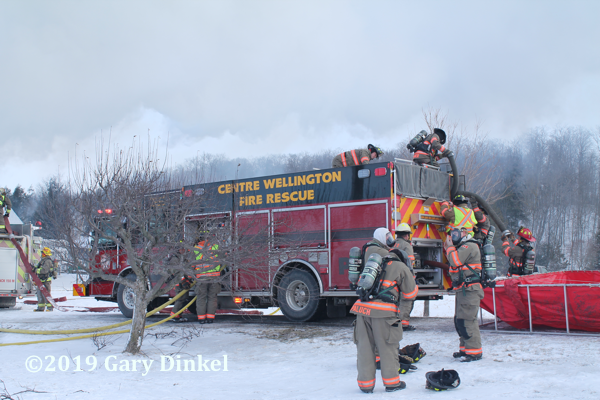 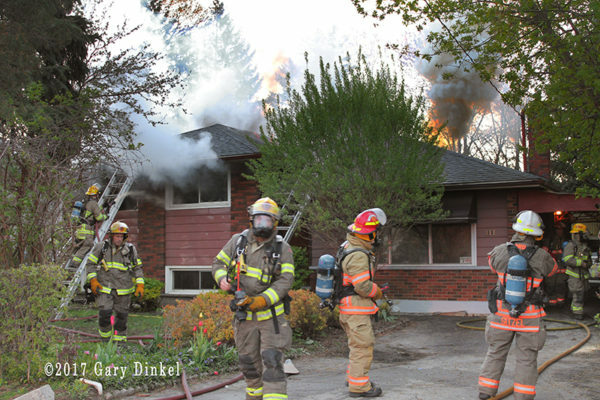 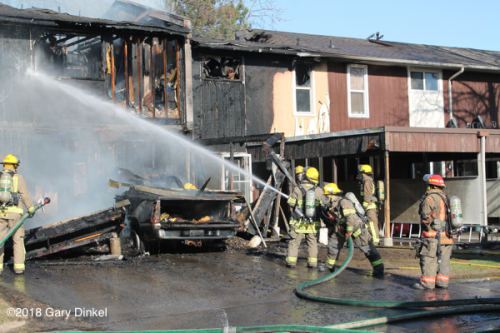 Attached are some shots of a house fire at 1805 Main St in Cambridge, Ontario, Canada from December 7, 2012. 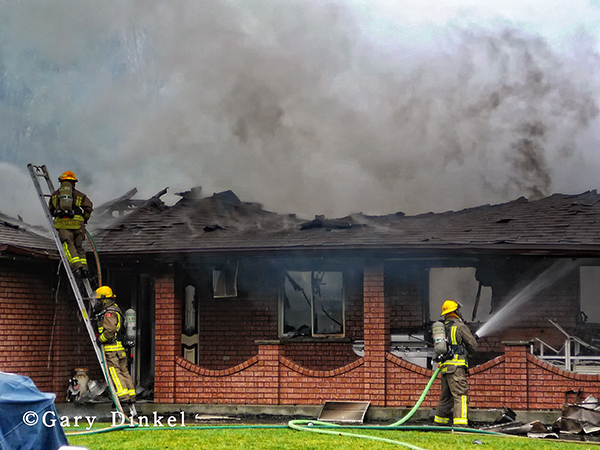 The fire was reported by a passing motorist around 10 am, reporting flames through the roof of the house. 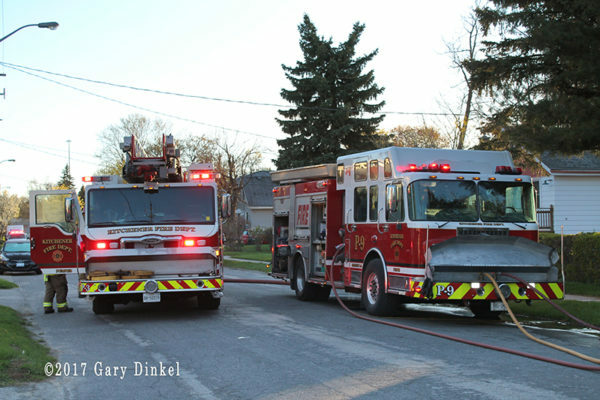 Cambridge dispatched three quints, a pumper, a rescue, a tanker, and the Platoon Chief to the call. P5 reported a thermal column as they pulled out of their station on Main St approximately one mile from the call. 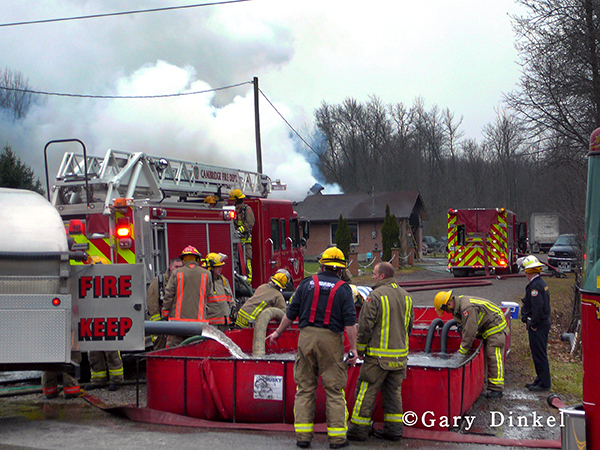 This is a rural part of the city, with the closest hydrant approximately ¾ of a mile from the home. 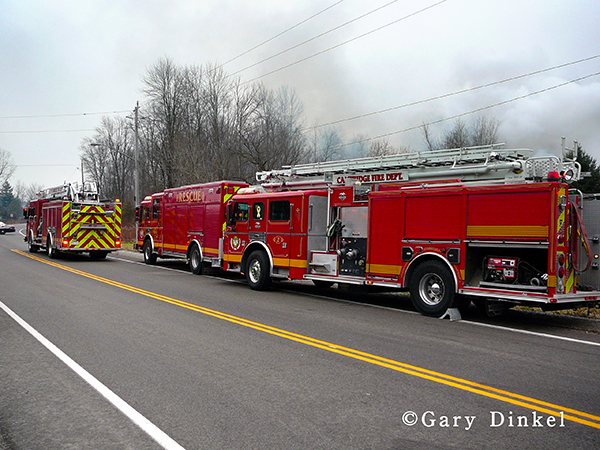 P5 arrived on-scene, confirmed fire through the roof, and requested additional tankers to the scene. 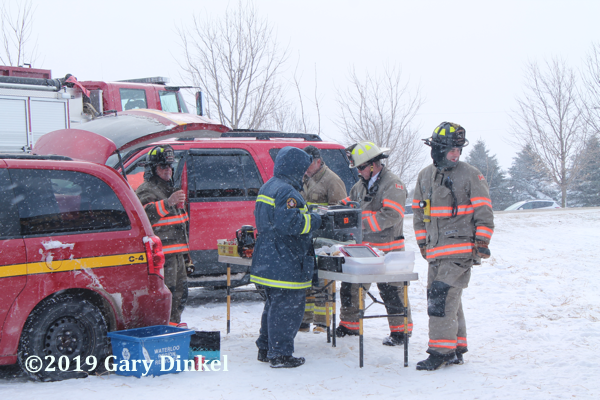 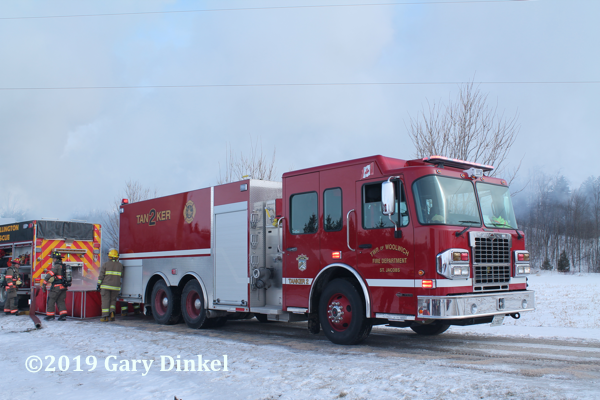 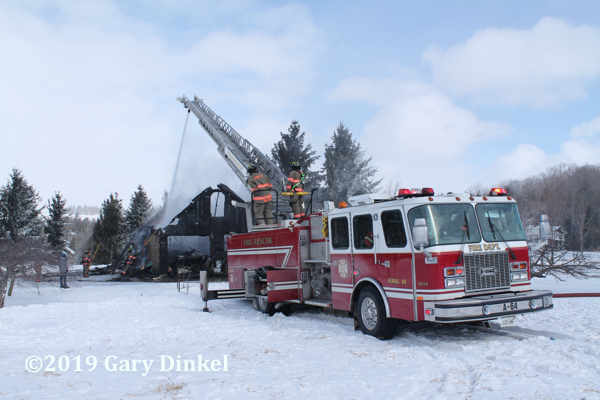 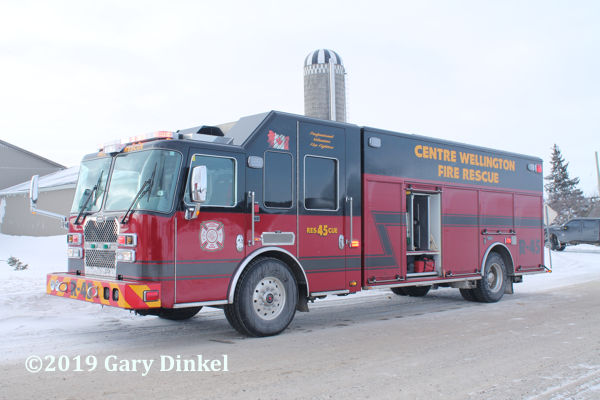 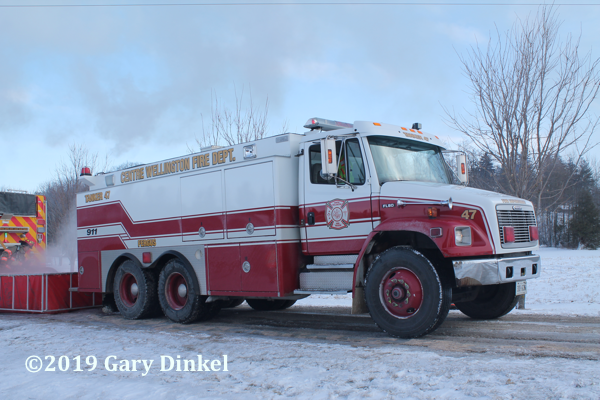 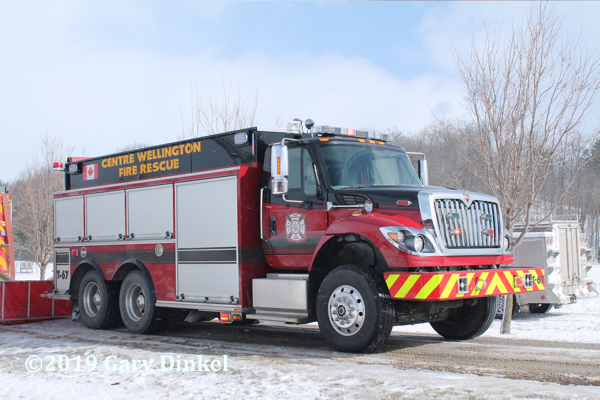 Tankers from the Ayr and Puslinch fire departments responded. All fire fighting was defensive. 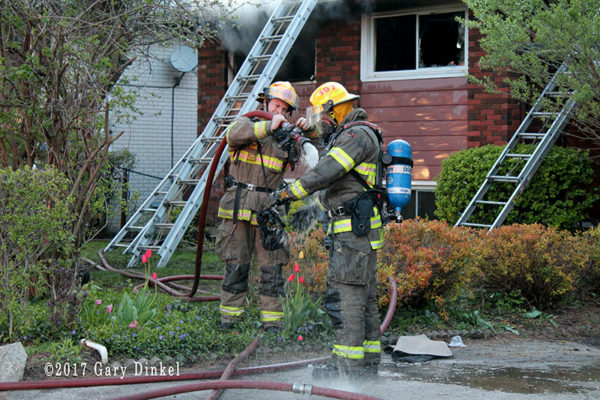 The fire was knocked down within an hour of arrival, with extensive overhaul over the next two hours. 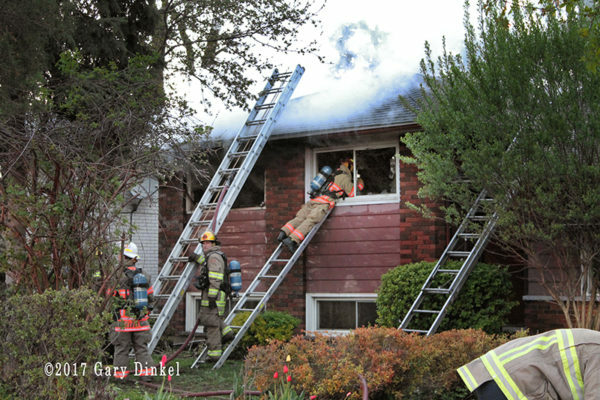 The suspected cause of the fire was a well stoked, unattended, wood fire place. Damages were set at $300,000.